Many thought it would be another woeful day for Jose Mourinho's Manchester United against Chelsea after Antonio Rudiger put the hosts ahead in the 21st minute. However, an exciting and surprising second half saw the Red Devils come back from behind to make it 2-1, thanks to an Anthony Martial brace. Although if that wasn't unexpected enough, there was a mix up of numbers during two of United's substitutions in the 84th minute, which added time and more importantly, tension in the last ten minutes of the match. Six minutes of injury time was added onto the end and the Manchester United defence just couldn't keep out the Blues as another Rudiger shot came flying in. It was saved by David De Gea, but he couldn't latch onto the rebound that was smashed in from close range by Ross Barkley to make it 2-2. Celebrations from Chelsea's bench spilled out in front of Mourinho which then kicked off a host of reactions and handbags, so expect an FA ruling for failing to control staff in the next few days. Away from the drama, Chelsea save their unbeaten run but as they've dropped points, they've drifted in the Premier League Outright market from the start of the day, from [10.5] to [16.5]. Manchester United's draw today has built some confidence around the club and is reflected in their odds. 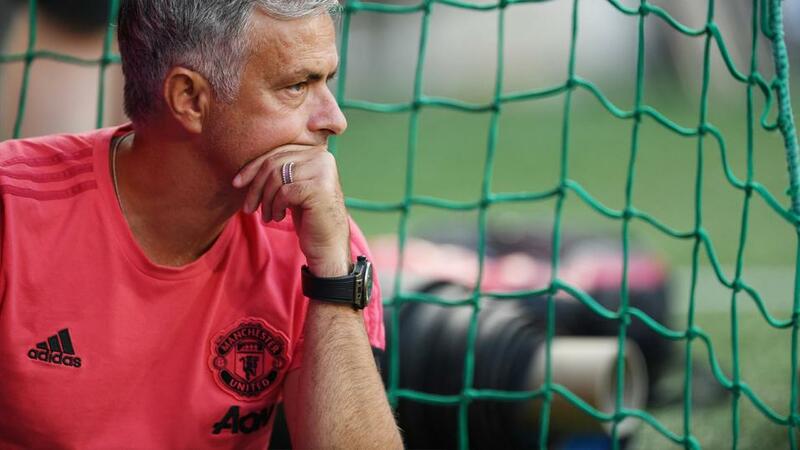 They have shortened from [4.2] to [3.35] to finish in the Top Four and Jose Mourinho has drifted to [2.6] in the sack race - although he is still the favourite to be the next manager to leave. After a little period of calm for Burnley, they were truly beaten at the Etihad today, the final result 5-0. As you can expect this has seen them shorten slightly to [1.61] to win the league. Aguero got the opening goal and now has six goals under his belt, which moves him as joint-favourite for Top Goalscorer with Harry Kane at [4.0]. Burnley haven't moved much in terms of their relegation odds, because they still are three points away from it and are around [2.74]. It was a nervy 1-0 win for Liverpool as they also move two points clear of Chelsea and break their winless streak of four games across all competitions. They now join Manchester City on points at the top of the table, but it could have been a very different story as Huddersfield had several chances to take advantage in the game. Liverpool stay at [3.9] for the title. It was a goal fest at Cardiff City Stadium as Neil Warnock's men came out with their first Premier League win of the season, a 4-2 victory against Fulham. They now move out of the relegation zone with five points, the same as the Cottagers but better them slightly on goal difference. Unfortunately the jury is still out on the Bluebirds and are still the favourites to go down at [1.44] but Fulham and their very leaky defence starting to join them. They are third favourites to go down at [2.74]. Brighton face the opposite after they make it two wins from two and climb up to 12th in the table, but that came at the expense of Newcastle who have lost all five of their home games. It is their worst start to a league season. High-flying Wolves took on out-of-form Watford today in the Premier League. Watford were winless in their last four games but managed to come away from the Molineux with all three points after winning 2-0. Elsewhere Bournemouth were held by Southampton to a 0-0 draw at the Vitality Stadium. This has created a close gap between 6th (Bournemouth on 17 points), 7th (Watford on 16 points), 8th (Wolves on 15 points) and 9th (Manchester United on 14 points). Everton can join this tight race and will be level with Wolves if they win against Crystal Palace tomorrow. Tottenham regain fourth place after a 1-0 victory away at West Ham, Moussa Sissoko with the difference-maker. It keeps pressure on Arsenal who'll go back on top of their North London rivals should they win against Leicester on Monday evening. Spurs are still [1.62] to finish in the Top Four, but six league wins from six by the Gunners have seen them catch up to [2.5].